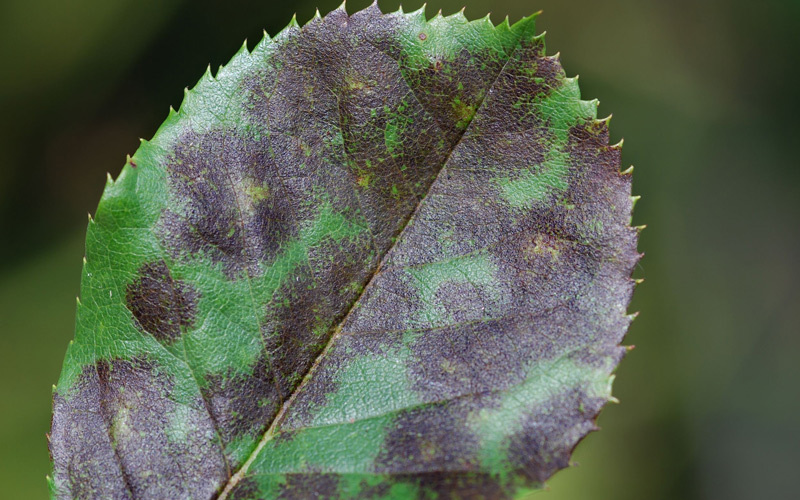 Commonly affects Roses,the fungi causes brown, black or purple spots with fringed edges to form on the leaves. Over time leaves will yellow and drop off. 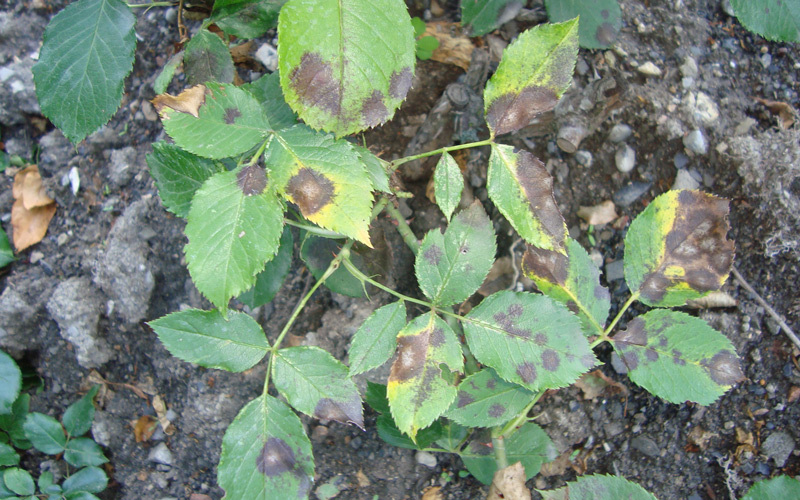 Can be distinguished from other leaf spot disease by the fringed edges and dark colour. 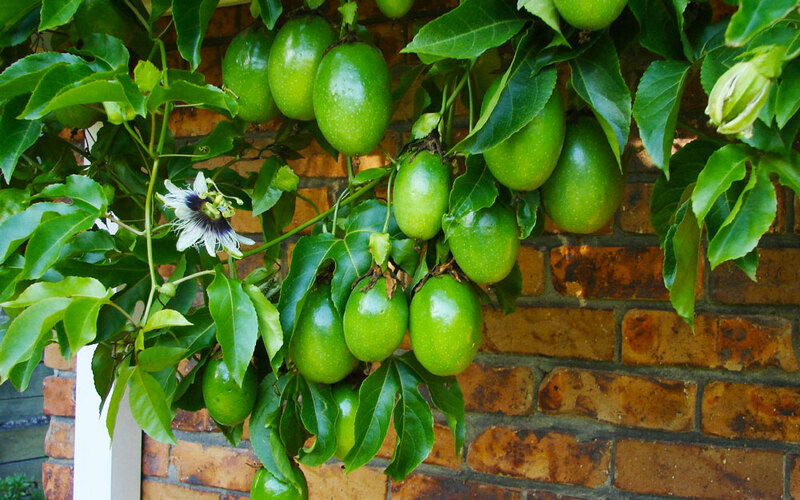 The fungus thrives in humid conditions. 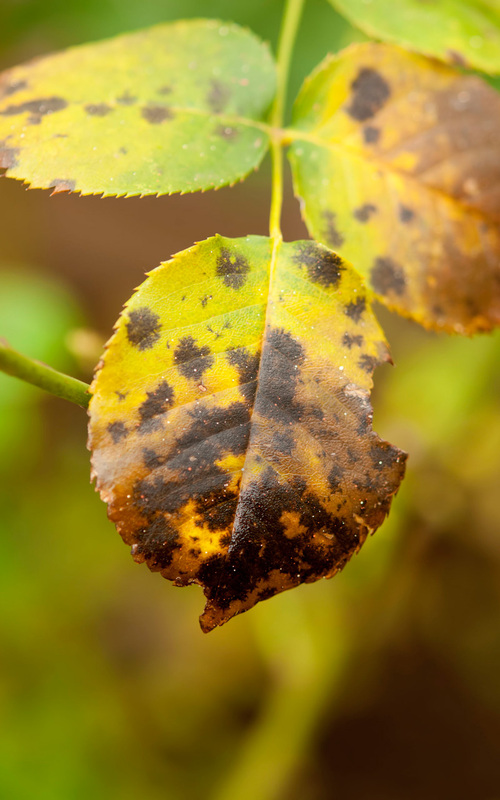 Reduce likelihood of black spot becoming a problem by increasing airflow around plants (by pruning, weeding, not crowding plants), and by avoiding wetting the stem when you water. 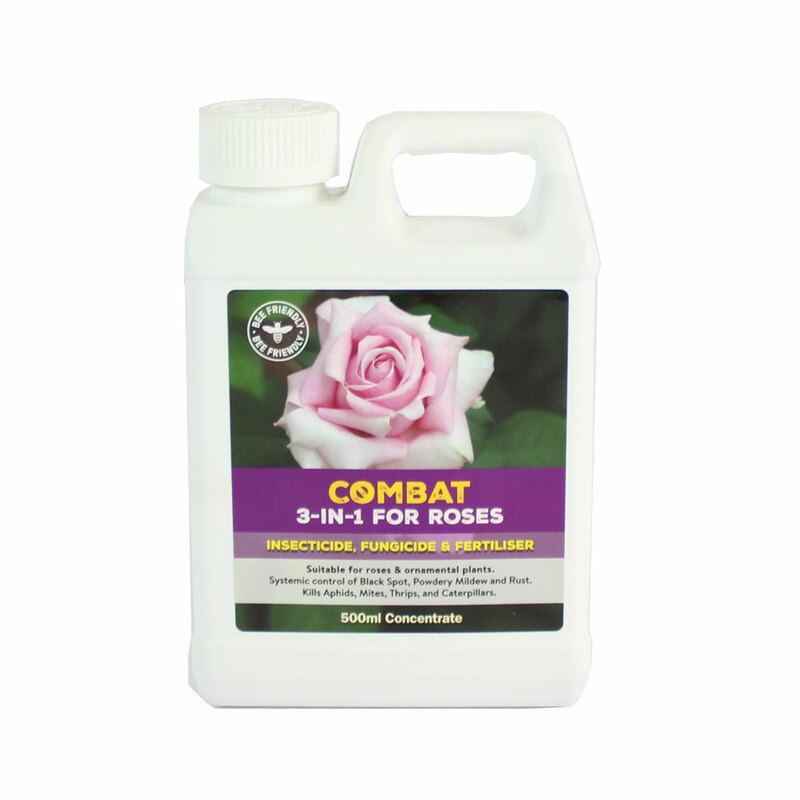 Spray ornamentals and roses with Combat 3-in-1 for Roses. In severe cases treating with Super Shield may be more effective. Spray plants with Liquid copper over winter to help protect the plant. 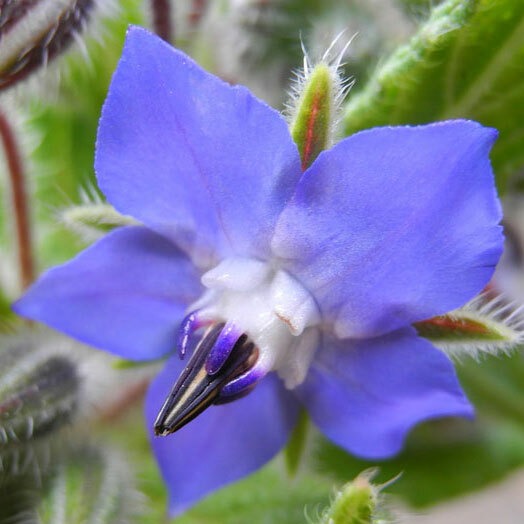 Pick off affected leaves, and sweep up and take away affected foliage from around the plant. 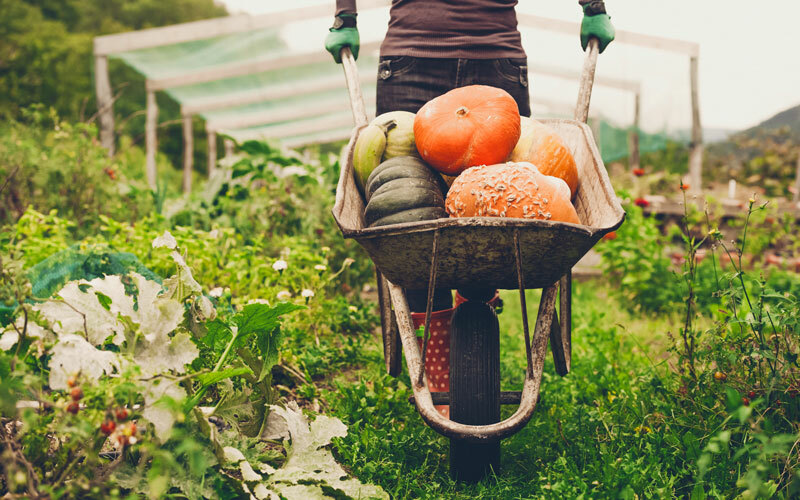 Not only an insecticide and fungicide but a natural fish fertiliser with minerals and trace elements essential for healthy roses and ornamental plants.